Tiny Tips for Library Fun: Lake Superior Library Symposium is...Superior! 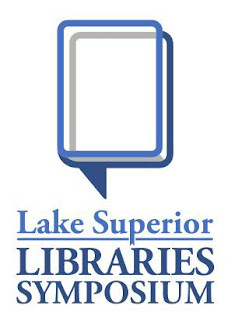 Lake Superior Library Symposium is...Superior! I'm stoked to see that LSLS is putting out their annual call for proposals for their amazing multi-state, multitype daylong library conference set for Friday June 9, 2017 in Duluth MN. While organizers hope to bring library staff from states surrounding Lake Superior together as a community, attendees come from all over the neighboring states to this cozy, insightful conference. "This year’s theme, Beyond Neutral, invites attendees to challenge the traditional stance of libraries as neutral spaces. In the current political climate, how do we navigate our institutional restrictions while upholding our professional values? At LSLS17, we will look outward to connect with our community, and inward to reflect on ourselves and our profession. Breaking Barriers, Opening DoorsWhat steps have you taken to make your library welcoming and accessible to your community? How have you connected with community partners or altered the physical space of your library? Reflecting Our CommunitiesHow have you used programming, collection development, displays, or services to support diversity and inclusion? Within your library, how do your policies and practices work with, or against, these initiatives? Starting the DialogueHow can we best address challenging questions within our profession, like our lack of professional diversity, the pace of change, and the library’s purpose? How have you facilitated conversations about these issues both within your library and with your community?" Please stop at this link for details and get those proposals in. I promise you, it's worth the trip (and throw your canoe on top the car or hiking boots in your suitcase and head along Superior's North Shore the weekend after for outstanding relaxation and fun). I'll be there defending my hockey puck trivia prize in one of the delightful social events. Hope to see YOU there!